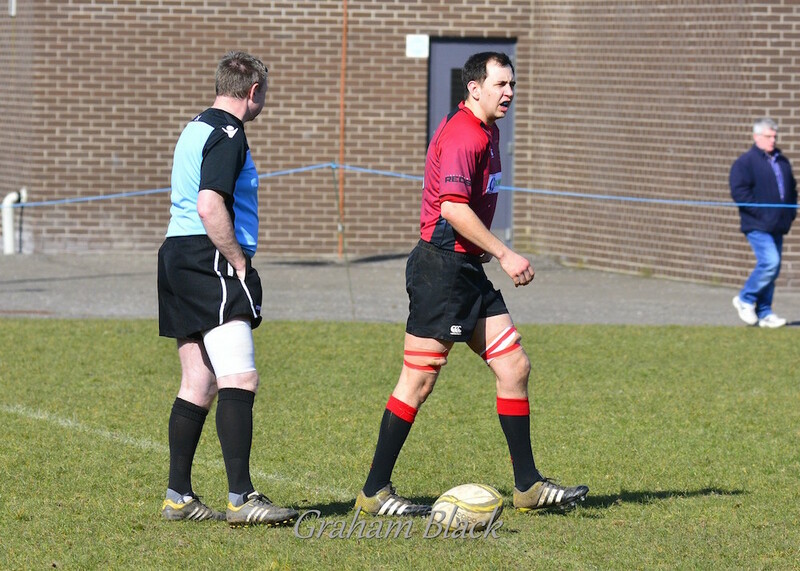 Linlithgow RFC made the short trip to Forrester to play the rearranged BT East League One match on a sunny day. With both Chris Bredin and Stuart Bell unavailable, flanker, Craig Scott, captained the Reds. 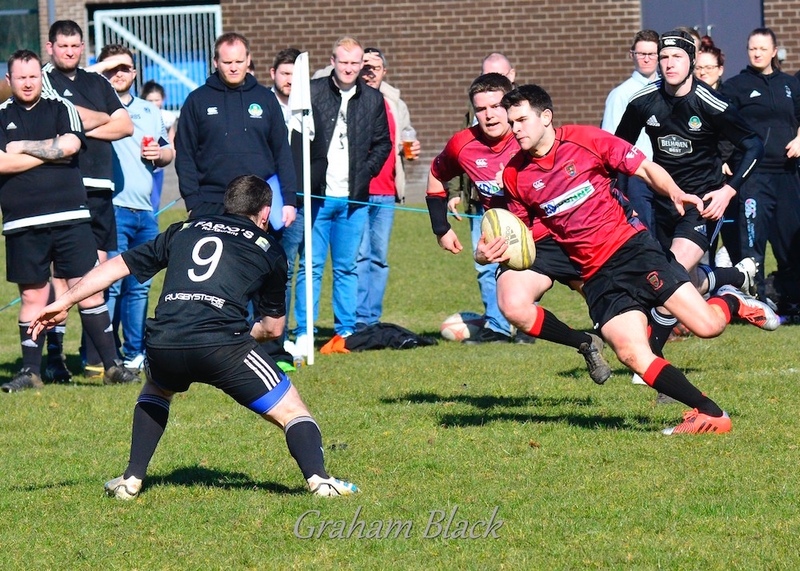 Playing into a slight breeze and in glorious sunshine, Linlithgow settled more quickly and an early passing move saw John Strachan bundled into touch as he zeroed in on the try line. The score was not long delayed, however. Andrew Whitelaw made a half break and then an excellent offload to full back, Jack Frame, on the right. Frame raced over the line and touched the ball down a bit nearer the posts to give himself a slightly easier kick which he then converted to give the visitors a 7-0 lead. It was seventeen minutes before Forrester managed to take play into the Linlithgow 22 when they won a line-out. Their bigger forwards were driving the ball ominously towards the Linlithgow line when the young Reds lock, Steven Grant, managed to secure possession, allowing the visitors to clear the danger. The game moved back into the Forrester half but Linlithgow were not capitalising on the territorial and possession advantages they had. Just after the half hour mark, twice the forwards drove the ball towards the Forrester try line but they were unable to retain control. The ball flew along the Reds back division but also flew into touch rather than into the hands of Cameron Walker who would have been in the clear. 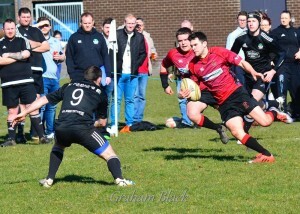 Fraser Rankine looked certain to score when he was dragged down short of the line. Almost on the stroke of half time Forrester were awarded a penalty. The kick was missed and the sides turned round with the lead still only 7-0 to Linlithgow. The visiting support could not believe that the margin was so slight in view of their side’s dominance. Their disbelief turned to worry almost immediately after the restart. In the 47th minute the Forrester pack won a scrum against the head and raced upfield to touch down under the posts, leaving a simple successful conversion. Three minutes later, in their next attack, a passing move out to the left stretched the Linlithgow defence and the home side winger dived over to give the Edinburgh side a 12-7 advantage. This shook the Reds and, in the 50th minute, Jack Frame burst up the right. He did not need the support as he raced over the line to touch down under the posts before stepping up to convert once again his own try. Two minutes later Ross Martin turned the ball over and passed to Andrew Whitelaw. He kicked up the left wing and Cameron Walker raced past the home defence to collect the ball and run the try under the posts. Jack Frame added the two points. Linlithgow’s tails were up now and Charlie Gillanders broke forward. He was supported by Jack Frame and Cameron Walker before Andrew Whitelaw collected the final pass and scored, with Frame converting. Substitute scrum half, David Martin, broke forward from a scrum and passed the ball to Fraser Rankine who scored and Frame, from further wide, did the necessary to give Linlithgow a 35-12 lead. There was just over ten minutes to go when the home side pressed forward. The Reds defence was not tight enough and conceded a try under the posts to which the two points were added. Linlithgow rather lost their way and stopped using their advantage of speedy backs. The last phase of the game was played in the Reds 22 where there was also a fracas that led to the sending of Gillanders to the sin bin with three minutes remaining on the clock. Forrester were determined to score a fourth, bonus-point try and in the last play of the game, against the Reds fourteen men they squeezed over, with the final kick missed. Linlithgow emerged 35-24 winners with a bonus-point win away from home which is a satisfactory result but the Reds will think there were more scores to be logged in this game. Nevertheless, the win took Linlithgow back up to third equal in the league alongside Murrayfield Wanderers whom they play in two weeks’ time. This Saturday, however, the Reds travel to Dalkeith for their next League encounter while the Seconds travel to Peebles. Jack Frame; Fraser Rankine, James Timlin, Andrew Whitelaw and Cameron Walker; John Strachan and Jamie Livingstone; Calum McKeown, Stuart Cunningham and Chris Archer; Steven Grant and Charlie Gillanders; Craig Scott, Euan Mochrie and Ross Martin. Subs (all used): John Pauley, Graeme McCallum, Andy Birrell and David Martin.